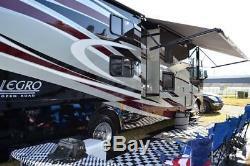 We have 4 Motorhomes and a Tailgating trailer. 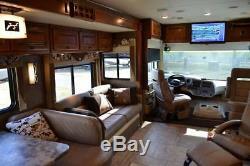 Our 40' Tiffin Allegro Bus with 4 slide outs & 8' x 12' observation deck. 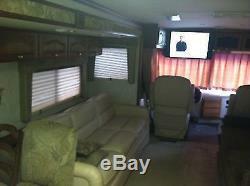 Sleeps up to 6; King Master BR, 2 fold out couches. HDTV in bedroom & den, HDTV outside, and a HDTV on the Observation deck. DVD, Dish 250 network, and over air. Immaculately furnished including a Keurig coffee maker, 125 qt Engel cooler, TEC gas grill, 2 burner inside gas stove-top, microwave/convection oven, residential fridge, Cutco cutlery, SS flatware, unbreakable glassware and plates, high end cookware, plus much more. We furnish towels & linens for 6 people. RV has 70 gallon grey water, 46 gallon black water, and 90 gallon fresh water tanks. 7.5 KW diesel generator. 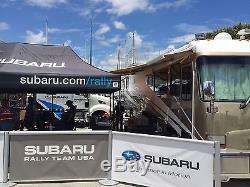 Electric awning, plenty of outside tables and chairs. RV is also stocked with paper products and plastic utensils. You pick it up or we deliver. 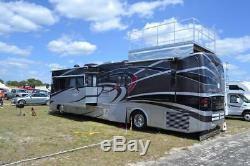 Our 35' Tiffin Allegro with 4 slide outs & 8' x 12' observation deck. 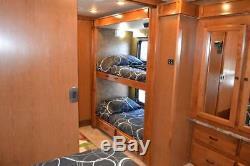 It has 2 bunk beds, queen master, full size fold out couch, dinette converts to full sleeper. 3 HDTV's inside, HDTV outside, and a HDTV on the Observation deck. Coffee maker, 60 qt Yeti cooler, TEC gas grill, 3 burner inside gas stove-top, microwave/convection oven, residential fridge, Cutco cutlery, SS flatware, unbreakable glassware and plates, high end cookware, plus much more. We furnish towels & linens for 8 people. RV has 66 gallon grey water, 50 gallon black water, and 70 gallon fresh water tanks. 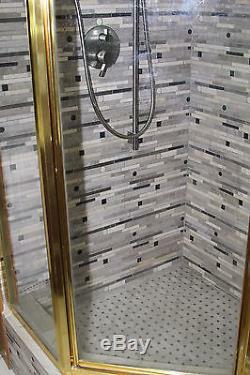 Our 35' Tiffin Allegro with 4 slide outs. 3 HDTV's inside, DVD, Dish 250 network, and over air. Coffee maker, 60 qt Yeti cooler, 3 burner inside gas stove-top, microwave/convection oven, residential fridge, Cutco cutlery, SS flatware, unbreakable glassware and plates, high end cookware, plus much more. 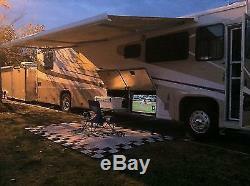 Our Tailgating Trailer w/ observation deck. 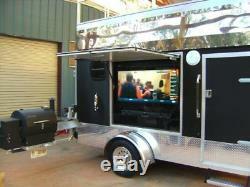 Electric awning, 55 outside HDTV w/ Dish 250, Traeger Grill, table & chairs. Weighs 5000 LB and has electric brakes and a round 7 pin plug. Honda 6.5 KW generator. Rental Contract and Security Deposit required. This package is available for other NASCAR and various events in the Southeast at varying prices based on travel distance and length of use. Call 8039609969 9A-9P for more info. 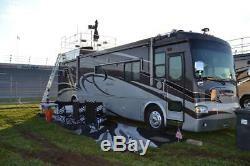 The item "Luxury Motorhomes for Bonnaroo Music Festival VIP Camping with 50 Amp Power" is in sale since Friday, July 31, 2015. This item is in the category "Tickets & Experiences\Concert Tickets". 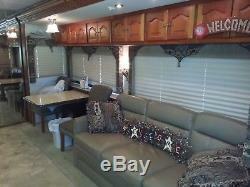 The seller is "customrvrental" and is located in Pickens, South Carolina. This item can be shipped to United States.